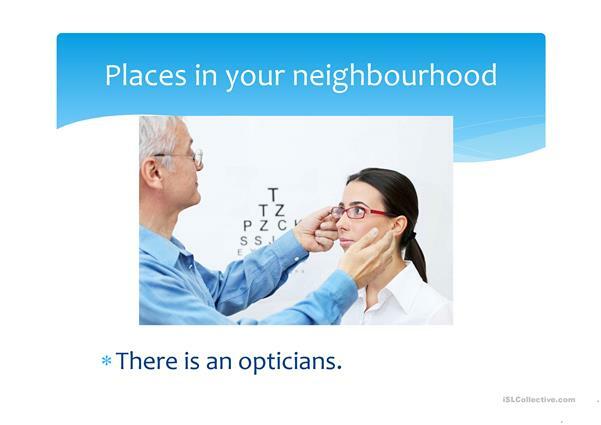 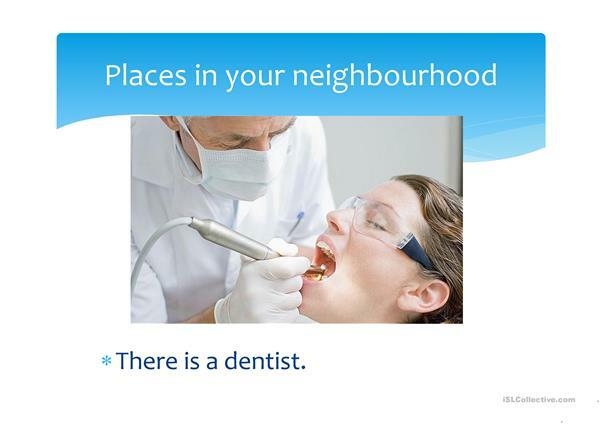 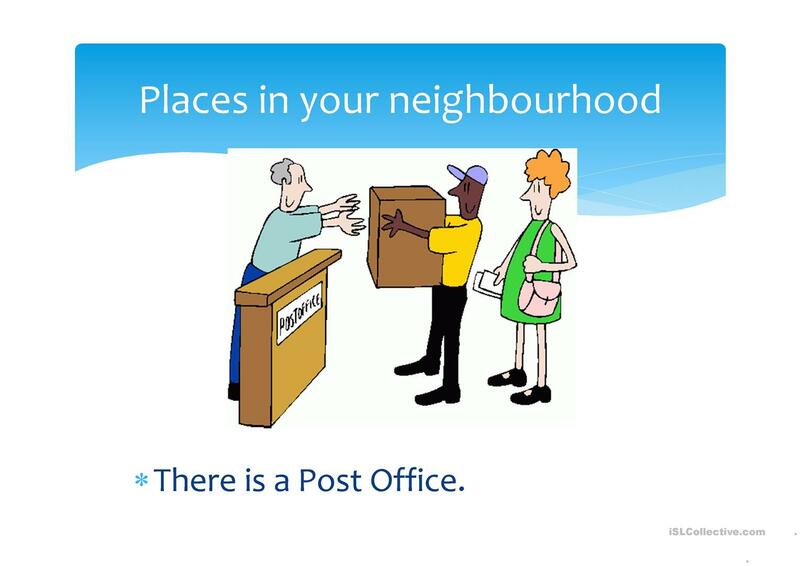 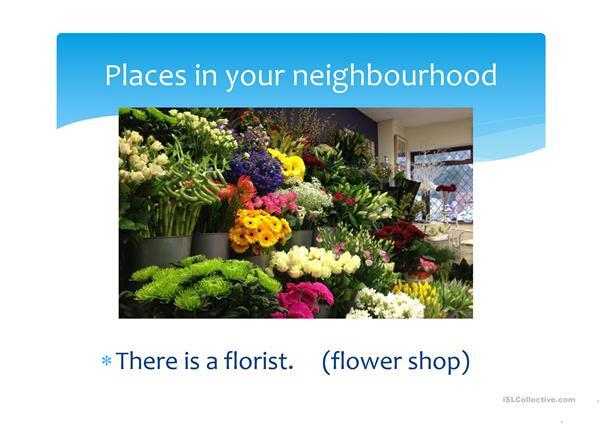 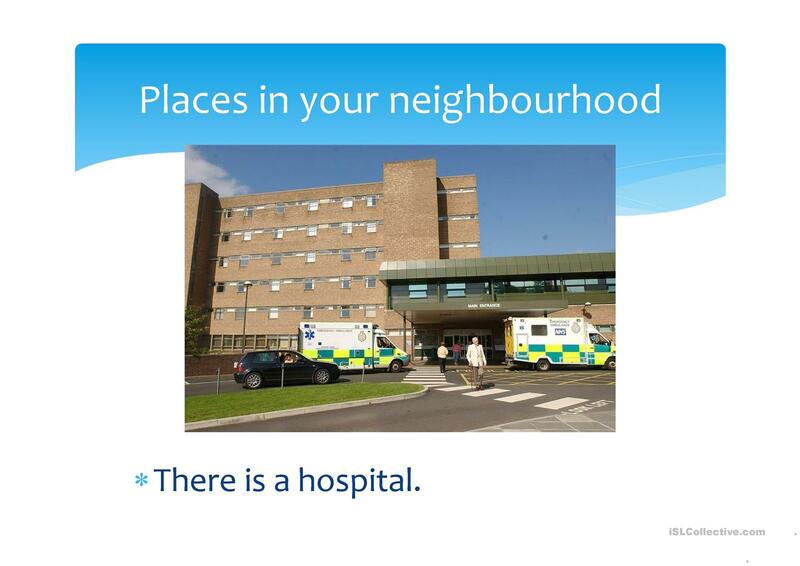 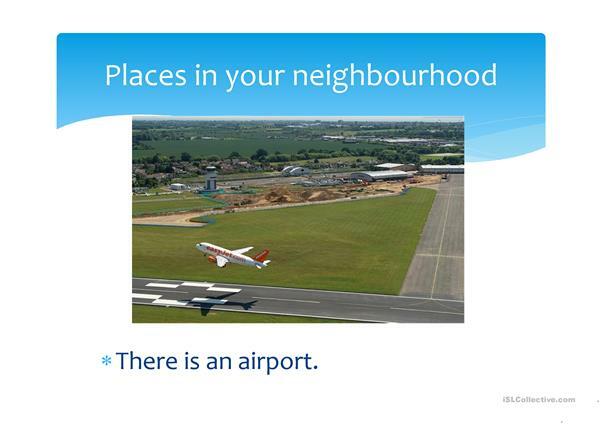 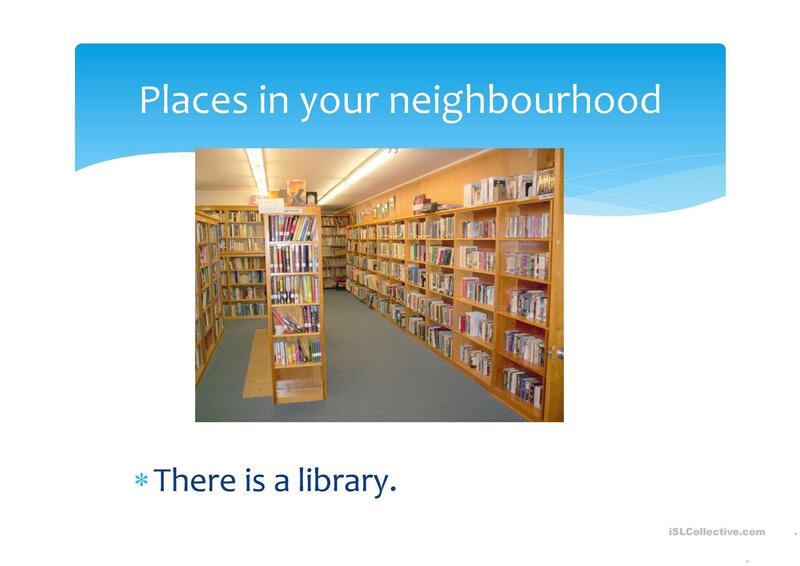 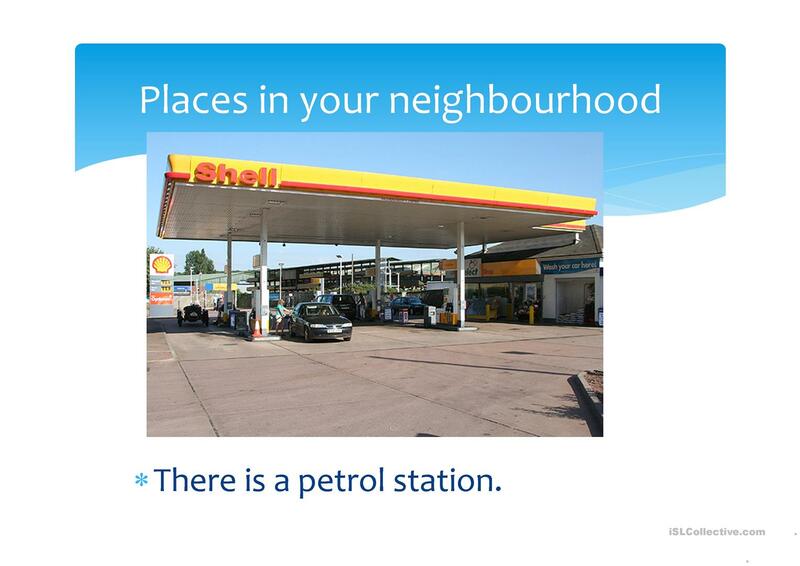 This is a PowerPoint to introduce students about how to talk about what is in their neighbourhood. It includes a writing activity at the end. The above printable, downloadable handout is best suited for adults at Beginner (pre-A1) level. 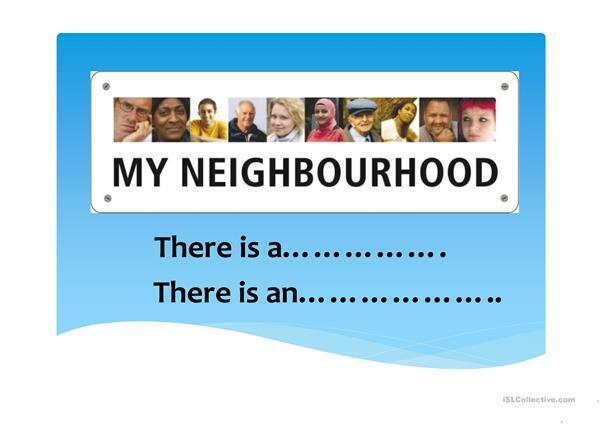 It is excellent for enhancing your learners' Speaking and Writing skills. 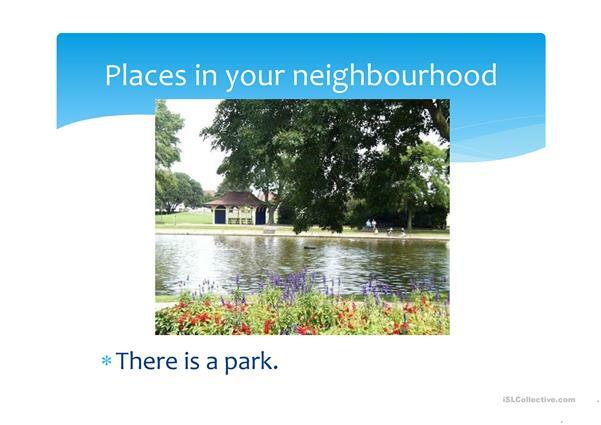 It centers around the topic and words of Places.